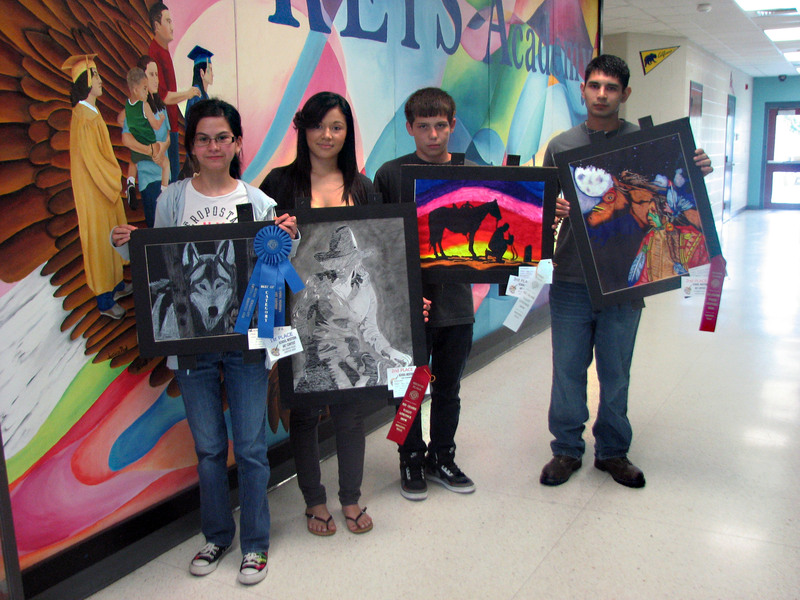 The art students at KEYS Academy were awarded for their hard work and artwork at the Rio Grande Valley Livestock Show Art Contest held March 11. Under the instruction of Keys Academy Art teacher, Oneida Trevino, eleven students participated in the competition with four having high success. The team brought back 4 ribbons. Individually, Giovanna Cantu, eighth grade student at KEYS, placed first in the Prismacolor division and was awarded Best of Show, the highest honor one can achieve. In the Markers division, Angelo Vuittonet, ninth grade, placed third and Christopher Yzaguirre, twelfth grade, placed second. Ruby Rangel placed second in the pen and ink category. Most of the competing students have been enrolled in an art class for less than a year. The RGV Livestock Show Art Contest had contestants from across the valley participate, judging individuals based on divisions not age group.